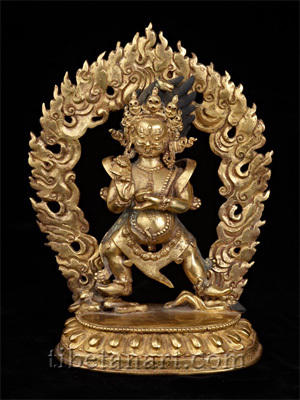 Hayagriva is a wrathful aspect of the Buddha of compassion. Copper high quality, part-gilded statue. 8 inches high.